07973 178602 for more information. Many courses are run in many countries, please email for details. Phillip Holt with NLPNOW, provide courses Internationally, and some of the countries can be be seen below. Contact NLPNOW if you would like to have courses given by Phillip Holt in your country. As a licensed trainer with the Society of NLP, Learning Strategies, Buzan to name just a few, Phillip Holt will provide proven content which is recognised world wide. NLP IN ITALY – Many courses are available with NLP Italy. 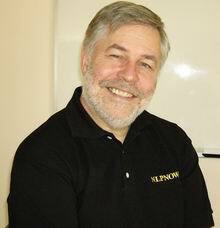 Why not join Phillip in Italy to learn NLP, Mind Maps, PhotoReading, or other courses he gives throughout 2009. Find out more here, and see some pictures. Click here. NLP IN SAUDI ARABIA. – Phillip has given courses and talks in Saudi Arabia, including reading skills at high speeds and phobia cures, using NLP and hypnosis. For pictures of courses in Saudi Arabia click here. NLP IN CHINA. – I am seeking a promoter in China, if that can be you please email me. NLP IN SRI LANKA. – Phillip in conjunction with Maxwell De Silva, brings all the skills, knowledge and courses to Sri Lanka, NLP, Hypnosis, PhotoReading, Mind Maps, Memory, for success in sports, business, education, and to the general public. Visit the web page for Sri Lanka below, or to contact NLPNOW Sri Lanka click here. NLP IN TURKEY. – Phillip in conjunction with partners in Turkey, brings all the skills, knowledge and courses to Turkey, NLP, Hypnosis, PhotoReading, Mind Maps, Memory, for success in sports, business, education, and to the general public. Visit the web page for Turkey, or to contact NLPNOW below. Call (UK) 0845 130 6213 or 07973 178602 for more information.